In my SE QLD literary backyard, there’s a charismatic dragon with a moxie rapidly earning him the reputation of a force to be reckoned with. He bides within a new young publishing house called Dragon Tales Publishing. 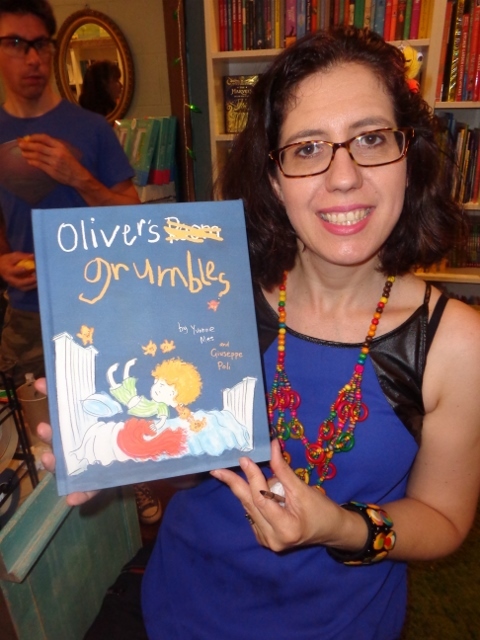 Here are two of his latest issues; Oliver’s Grumbles and My brother Tom. Each of these picture books are a little bit special, possessing a sensual hard cover feel that encourages you to hang on to them long after the last page is read. They deal with potentially difficult subjects to dress up in picture book format however manage it with tact and quiet sureness, ever mindful of their young audiences. What sings most vociferously about these two titles however is not the gravity of the subject matter rather the passion of the creators to share their experiences with readers. I applaud the bearing of souls and empathy displayed within and tip my (Christmas) hat to the dragon. He should be proud. 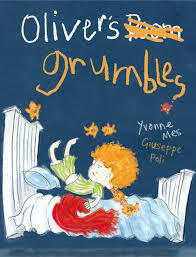 Oliver’s Grumbles by Yvonne Mes and Giuseppe Poli, deals with emotional disaccord and internal conflict. We’ve all had an attack of the grumbles. Mine, like those of a young child sometimes come from nowhere, out of the blue, without warning and are very (very) difficult to eradicate, as Oliver finds out. After a ‘particularly grizzly and growly day’, Oliver is plagued by Grumbles. They cause inexcusable mayhem and muck-ups but steadfastly refuse to go away. Oliver is neither able to entreat nor eradicate them. They even have the gall to snuffle his snuggle blanket! It takes a while, but Oliver eventually recognises that sometimes the best way to deal with a negative (and rather unruly) situation is with head-on positivity. A resounding message to parents out there everywhere! With a kiss and prrr prrr (Grumble nice speak), Oliver and his Grumbles slip smiling into sweet slumber. Oliver’s Grumbles is a delightfully close up and personal look at dealing with emotions such as anger and frustration. And, a reminder to us all that, sometimes to change everything, you simply need to change your attitude. Mes uses narrative flecked with engaging alliteration and powerful verbs to reflective Oliver’s changing moods and growing frustrations. Giuseppe Poli’s line and pencil illustrations add whimsy and colour enough to keep young eyes glued to the pages until the very last grumble is dealt with. I adore their bright orange angst reminiscent of Oliver’s hair, which alters bewitchingly to a softer shade of sky as they mellow from grrr to prrr. The many subtleties of both text and drawings make this a winner for me. Recommended for grumbles under 10 or anyone having one of ‘those’ days. 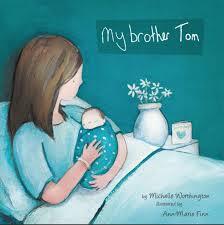 My brother Tom by Michelle Worthington and Ann-Marie Finn, is a heartfelt story ‘for older siblings of premature babies to help them make sense of what’s happening’, especially when they are confined to hospital. It is also (for me) touching, tear-up material but beautifully absent of sentimentality, making it a fabulous go-to book to help littlies and biggies understand and cope with one of life’s more dramatic and stressful occurrences. Worthington writes with honesty and quiet understanding having experienced the turmoil and anxieties of early births herself. Her narrative is direct and candid yet incredibly sincere and always kid friendly. While it may incline to tug at an adult’s heartstrings, My brother Tom establishes strong emotional connections for younger readers right from the start. Tom’s brother observes not only his brother’s fight for life but also his parents’ emotional conflict as they worry and wait. His presence appears passive and helpless; a role many siblings must feel they are forced to adopt in situations like these. What his parents cannot know or see however, are the singing angels outside the window who give Tom’s brother the courage to believe things will get better and who follow little Tom, everywhere. Illustrated by Finn with extreme sensitivity and subtle colour change, this picture book affects a stirring sense of hope that radiates love and triumph. Highly recommended. Royalties from the sale of My brother Tom will be donated to Life’s Little Treasures Foundation. Perhaps you know someone whose festive season will be less than tinsel-bright this year. You can bring some light into their hearts with picture books like these. At first glance, life on the icy floes may seem appealing. (Unless you reside in SE Queensland as I do with no real concept of what cold is until you have to live through ‘an unseasonably cold winter’ with little more than a cotton tee-shirt and a pair of bed socks). 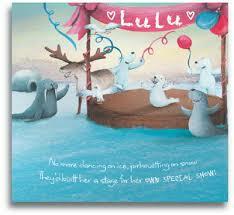 In Lulu’s world, there is more ice than you can shake an Eskimo at and ‘mountains of fish’ to sate the largest appetite. What more could a young polar bear desire? Yet like many of us closeted in the everyday cosiness of the familiar, Lulu harbours dreams and a hankering to fulfil them. 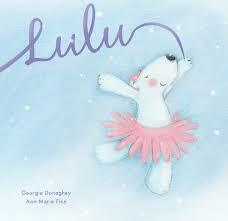 Lulu’s name ribbons across the sweetly simple cover of Georgie Donaghey’s debut picture book, Lulu. Along with illustrator, Ann-Marie Finn, Donaghey has created a tale that will strike at least two chords with many young readers aged three and above: the need to chase one’s desires no matter how ambitious and dancing. Expounding these themes, Donaghey uses carefully nurtured verse to draw the reader along with Lulu who sets off alone in pursuit of her dream of performing on the big stage. It’s not really a case of running away, rather running to somewhere. Pirouetting on the snow for her Arctic friends just doesn’t cut it for her anymore and in true grass-is-greener style, or in this case, the lights-are-brighter-than-the-aurora-borealis style, Lulu eventually conquers her ambitions, finds her place on stage and performs for many seasons in the big city. It’s a life filled with glamour and fame, highbrow audiences and gratifying reviews but sadly not with true friends. Turns out, the ice is greener after all and eventually the call of home lures Lulu back. Donaghey does well to point out to young readers that it’s okay to have dreams and great aspirations. We don’t always attain our goals, but sometimes, if we want them hard enough, dreams do come true. Lulu was lucky enough to experience the realisation of her strongest desires but also to realise that her most steadfast believers, her friends would always be there waiting for her no matter how far away her dreams took her. This conveys a positive message of security for children, stressing the importance of being self-assured. Finns’ considered colour choices for the illustrations are uncomplicated revealing mood, time and place with minimal clutter. White space replicates the vast pristine landscape of Lulu’s home with subtle colour shifts and blends from polar blues and whites to snowflake- pretty sunset yellows used to maximum effect on what could have been a monochromatic environment to illustrate. 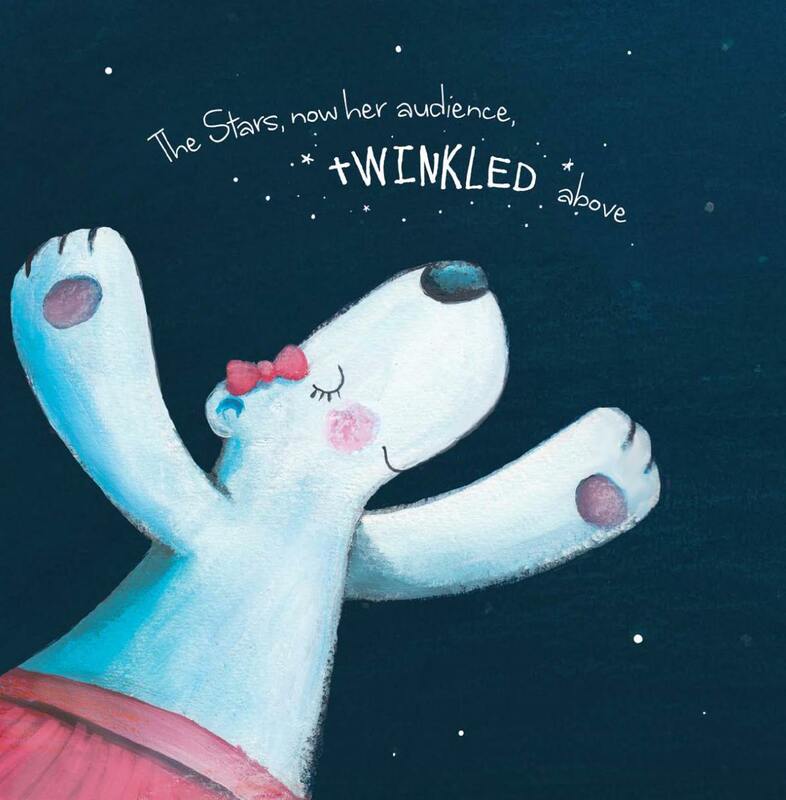 Little blips of pink provide contrast and encourage little eyes to focus on Lulu, the true star of the show. With its soft matt cover (in this paperback edition), comfortable rhythm, and pleasing artwork it is hard not to be warmed by this story set on the ice. 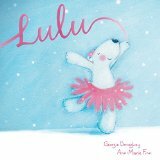 Pop over to Romi’s interview with Lulu author, Georgie Donaghey now for more interesting insight into the creation of this plucky little polar bear and the fiercely determined creator behind her. Lulu is now available, here. There are moments in life that make us stop and adjust our perspectives on the world. Even encourage us to see the world from another’s point of view. Author Kaylene Hobson and illustrator Ann-Marie Finn from Dragon Tales Publishing have achieved just that by introducing us to their new, loveable character, Gus. ‘Gus, the Asparagus’ is a story targeted towards children and families with an Autism Spectrum Disorder, promoting awareness through this valuable and entertaining resource. Gus is a part of the Green Family. He is the only asparagus, but he doesn’t mind. Despite his differences, they love him anyway. But upon entering school, Gus finds it difficult to ‘fit in’ with the other fruits and vegetables. Cleverly, the story integrates some of the challenges that a child with Autism may face; like highly distracting birds and misunderstanding the rules in a ‘rolling’ race. A diagnosis of ‘Asparagus Syndrome’ sees Gus finally thrive as others become more aware of his needs and help to make adaptations to his environment. 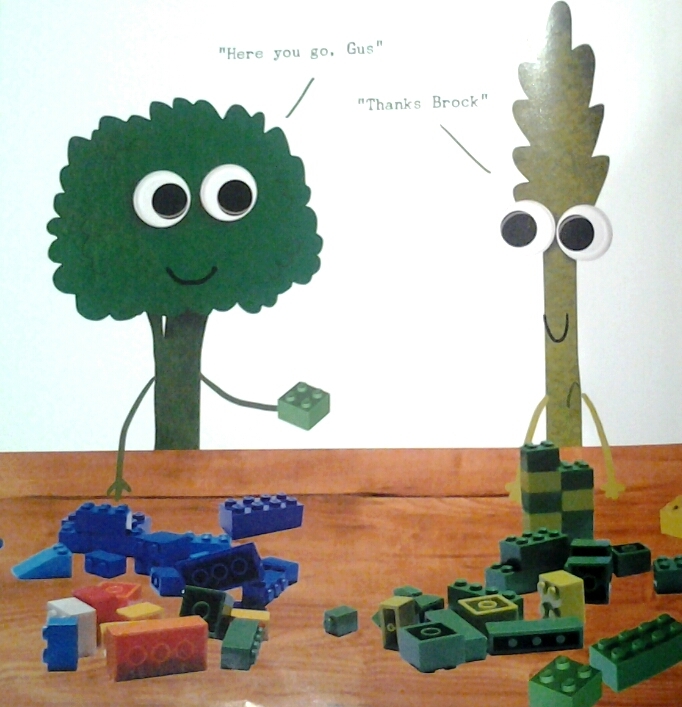 And the best part is, Gus makes a friend who doesn’t mind his upside down, asparagus ways… being different is okay. ‘Gus, the Asparagus’ is a simple story that clearly defines its’ message of accepting differences in yourself and others, yet in a humorous, light-hearted manner. The mixture of explanatory narration and amusing dialogue is like watching a children’s television show! Whimsical, goggle-eyed characters and bright, bold colours that Ann-Marie Finn has illustrated perfectly suit the playful text by Kaylene Hobson. A sweet, charming and significant book for families, teachers and specialists, and all primary school children to connect with, whether on the spectrum or not. ‘Gus, the Asparagus’ is sure to spear your hearts with its juicy goodness! Ann-Marie Finn is a talented artist and author, having produced stunning books including ‘A Trip to the Moon’, ‘Captain Kieron’, ‘I Despair of My Hair’, and illustrations for ‘Isaac’s Dragon’ and ‘My Dad is a FIFO Dad’. 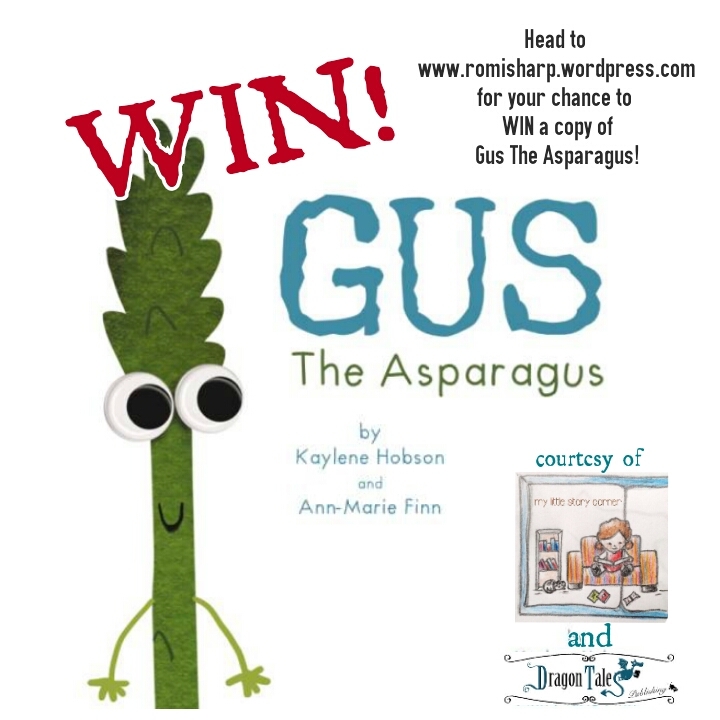 I am fortunate to have had the opportunity to learn about Ann-Marie Finn’s fascinating journey to creating her books, including the scrumptious ‘Gus, the Asparagus’. You have a gorgeous, eye-catching style of illustrating. Please tell us a bit about your artistic background. 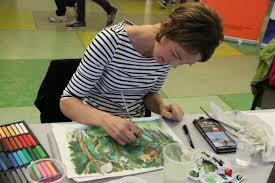 How did you come to illustrate children’s books? Well I’ve been an illustrator since leaving college, and I always knew that I wanted to be a children’s book illustrator eventually. I started out designing greetings cards and stationery, and there was never really time to work on anything new. Then I left work to have my two children and I knew then that I had to just go for it! 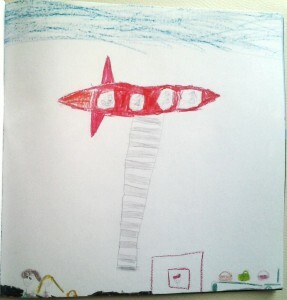 I took a story that I had written years earlier as a student, adapted it to be about my first little boy Liam, and A Trip to the Moon was created. 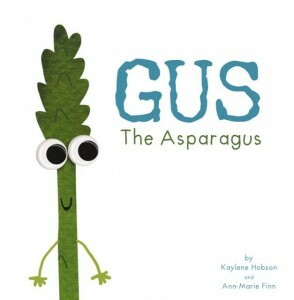 Congratulations on the release of your latest book with Kaylene Hobson, ‘Gus, the Asparagus’! 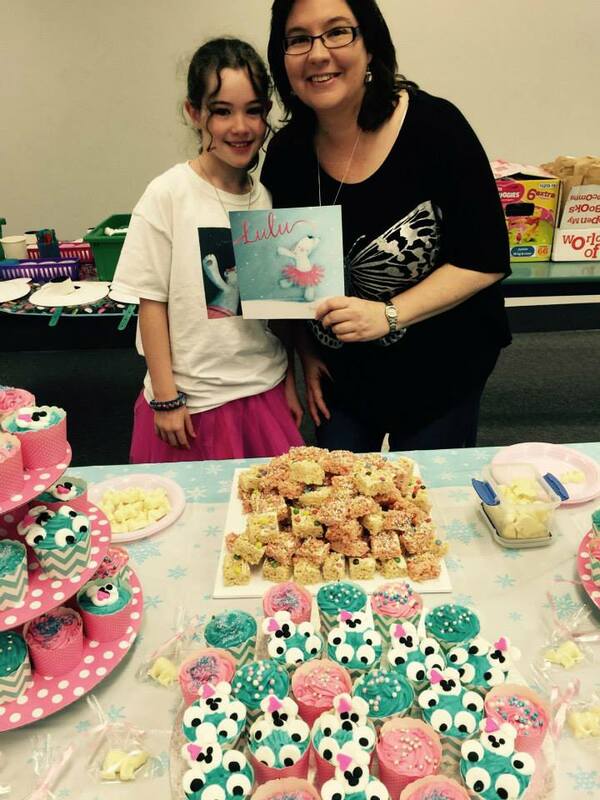 Can you tell us a bit about how you and Kaylene collaborated and what you hope the readers will gain from this book? The reason Kaylene and I met was through a group that Kaylene set up to help kids on the spectrum to interact with each other. Once she found out I was an illustrator and I found out that she was an author we started talking about a collaboration. We completed Kaylene’s first book in July last year and haven’t stopped thinking up ideas since. When I first had the idea to make Gus the Asparagus a character I sent her a message. I knew she would either laugh and think I was crazy or decide it was a good idea and we should run with it! (She did both). The idea behind the book was to create a character that kids with autism could connect with and understand, a book for them to understand themselves rather than for adults. We also hoped it would be fun for any kids, not just those on the spectrum. How did working on ‘Gus, the Asparagus’ make you feel, considering the topic is so close to your heart? How does the story resonate with you personally? I loved every moment of working on Gus. The best part was that we were never short of ideas! In fact we had too many and had to cut out some pages (good excuse for a sequel though…). Gus himself is very much like my eldest Liam, and he actually helped me out when I was illustrating the book and gave me ideas on what would make Gus more comfortable in class. I love it when my kids get involved in my work. We’ve seen a mixture of amazing artistic techniques across your books, including pencil sketching, collage and digital media. Do you have a particular style or type of medium that you tend to prefer over others? Describe the illustrative process you used for creating ‘Gus’. When I see a manuscript or think up a character I can usually see it in my head before I start to work on it. I knew Gus needed to be a very simple but bright character, without fussy backgrounds. It didn’t take me long to get him right. The characters were created from painted colours on textured paper. The pencil sketch style that I developed for A Trip to the Moon is my favourite though, I like that I get to draw it all by hand but have the ability to manipulate the images easily in Photoshop and keep the hand drawn look. I’ve used that technique in most of the books I’ve illustrated. What were the most rewarding and challenging aspects of creating the illustrations for this book? The most rewarding part was when I got the look of Gus just right. Both Kaylene and I knew instantly when he was right, I think it’s his eyes that do it! There weren’t any real challenging parts to the illustrations, it’s amazing how easy it is to get the right expression on an asparagus! Do you like asparagus? What’s your favourite vegetable? I love asparagus! Luckily the variety I eat doesn’t have saucer like eyes so I don’t feel like I’m doing anything wrong…. 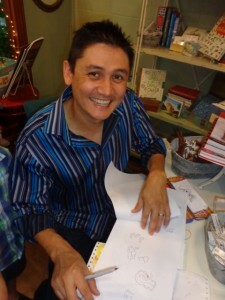 You have authored and illustrated several children’s stories. Do you have a preference for a particular role in creating books for kids? Why? What has been the biggest highlight for you since beginning your journey in the field of children’s literature? The feedback is most definitely the best part of every book. I’m always a bit scared of doing book readings (I’m allergic to public speaking), but seeing the kids being interested in what I’m reading, pointing to the pictures and asking questions is amazing. 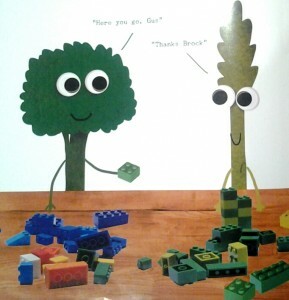 It’s the whole reason I wanted to illustrate children’s books in the first place. You have two new projects due out soon. Can you tell us a bit about the works you are creating with Georgie Donaghey and Michelle Worthington? I have just finished Lulu by Georgie Donaghey and received the first copy a few days ago. It was a very challenging one for me because I decided to paint the illustrations this time. It’s very time consuming and less easy to correct if I make mistakes, so tougher when working to a deadline. In the end though I think I got it right and I’m very pleased with the final result. 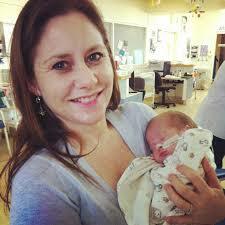 Angels Outside the Window is a gorgeous story by Michelle Worthington about her son’s experience with having a baby brother born prematurely. I am in the early stages with this one, trying to find the right style to work in. I want to keep it soft and dreamy; a sensitive style to go with a sensitive topic. Michelle is kindly donating profits from the sale of this book to the Life’s Little Treasures foundation, so it’s an extra incentive for me to get it just right! It’s clutter central. Whenever it gets too much to cope with I panic and try to get someone to organise it for me. Kaylene has tried to empty my desk before, so has a professional de-clutterer. But it still ends up the same way. I can draw pretty pictures but I can’t for the life of me put something back where it belongs!! 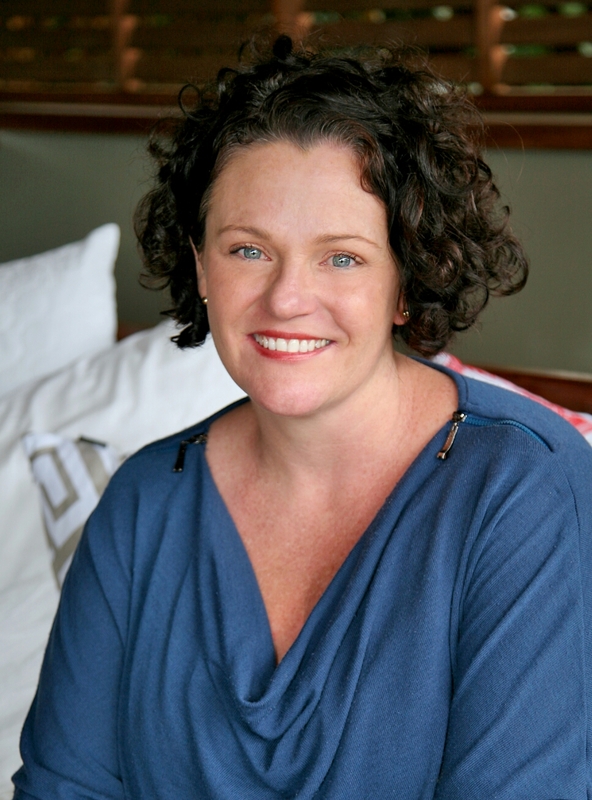 Is there anything else about Ann-Marie Finn that you can share with us? Something we won’t find on the internet! Thanks so much for talking with me, Ann-Marie! It’s been a blast! World Autism Awareness Day was celebrated on April 2nd this year. You can find more information about the cause here. To WIN a copy of ‘Gus, the Asparagus’, head to the Gus the Asparagus Giveaway! Entries close 9pm (AEST) Sunday April 26th 2015. My Dad is a FIFO Dad, an uplifting story that has already touched the hearts of many families, has beautifully encapsulated the highs and lows of the life of a child with a father who ‘flies in and flies out’ for work. (See Review here). But let’s not forget the strength, courage, commitment and perseverance of the mother who wrote the book, who is raising three children on her own for three weeks in every month. Today we talk with author, Jo Emery, about her moments of heartbreak and joy, her achievements, family life and plans for the future. Congratulations on the success of your book, ‘My Dad is a FIFO Dad’, already sold out on the first print run! Can you please tell me a bit about your career background, writing history and family? I have been employed by the Department of Education and Training Queensland for the past 17 years and most recently held the position of Principal at one of the Sunshine Coast’s Primary Schools. I have been on leave for some time (3years) however, to raise my family. I have 3 children, Sahskia who is almost 7, Ahnika 3 and Grayson 11 months. 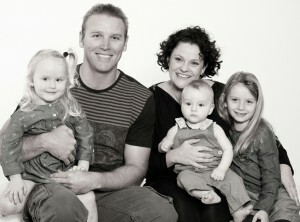 My husband Steve and I have been married for almost 10 years and have been living a FIFO lifestyle for almost 4 years. I’m not quite sure when I signed up for the FIFO commitment but for now; we are making it work as best we can, for our family. I have written in poem, song and story for as long as I can remember. It is something I have always enjoyed and felt the need to do. It has given me respite and relief, enthusiasm and enjoyment and in this case an opportunity to help others stay connected to the ones they love the most. Why you were inspired to write ‘My Dad is a FIFO Dad’? The story, My Dad is a FIFO Dad was born out of the raw emotion of our last drop off of Daddy to the airport. We were late for the plane and had to leave Steve in the ‘drop off zone’, rather than park the car. The children were devastated that Daddy was heading back to work and it was the first time that Ahnika, two at the time, had realized that Daddy was going away for a long time. My eldest daughter Sahskia, was incredibly sad as she felt the angst of her sister also. (Needless to say this was our last drop off and my husband now catches the shuttle bus J) It was incredibly heartbreaking to see and to feel and so, as I have often done in many situations, that night I went home and put pen to paper to debrief. The initial draft of my story was penned some 18 months ago. The story is told through the eyes of Sahskia. I tried to capture what I knew she was feeling on that day and mix it with what I hoped she would be strong enough to feel in times to come. How has the change in lifestyle affected you and your family? Firstly, we are separated physically … Steve and I had never been apart longer than 48 hours so weeks on end has been a very big change for us. Our family is apart 3 weeks of every month and together for one. But what we have learned is that our life style is not about the amount of time spent apart, rather the quality of time we have together. Our mantra is ‘To Make Everything Count’. We are a very open family, when we are sad we cry, when we are angry we get angry, when we are happy we laugh loudly and so the openness and respect we have for each other’s feelings helps us to deal with issues and move on. Our kids are very connected with both Steve and me but that is because we work on it. The difficult times we experience because of FIFO, is on those special occasions that arise when we are apart… birthdays, weddings, funerals, Easter, holidays and so on. On the opening page of ‘My Dad is a FIFO Dad’ there is a child’s beautiful drawing and statement about her dad being the greatest. Can you tell us about that? Who drew the picture? This picture was drawn by my eldest daughter Sahskia. 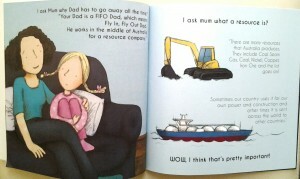 This is her view of what it means to be a FIFO Dad. Clearly the ‘flying in and out’ component of his job plays on her mind. I love that her Daddy is still smiling while he departs and the family who remain are smiling too; even the man in the ticket box is having a happy day. My kids adore their dad and he knows more than anyone that they consider him to be the greatest dad ever, and that’s because he really is! 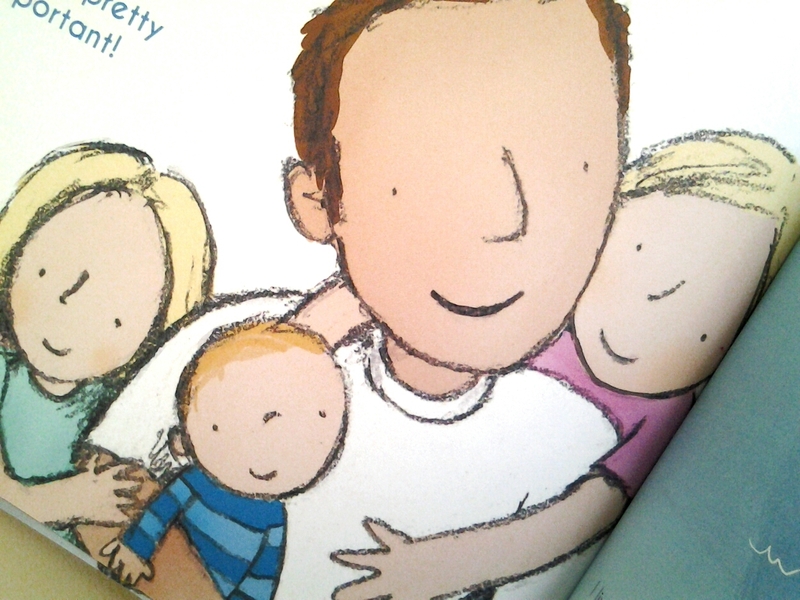 We are then drawn in with fun scenes of an animated dad role playing, riding and reading stories with his kids. What are your partner’s favourite things to do with your three children? Steve just loves being with them! We live in what we consider one of the most beautiful places on the Sunshine Coast and so visits to the beach, parks and in the pool are all of our favourites. Our kids are heavily into dancing and so having the opportunity to watch them do what they love to do most is wonderful when he is home from work. You capture the narrator’s thoughts, feelings and actions of sadness and resilience so well. Are these based on your own child’s words and behaviour, or your experience with dealing with these issues? I would say that these thoughts are shared from experience, practice and hope. I guess I tried to capture what my child was feeling and mix it with my hopes for what she would be able to feel in the future. My children are very resilient and with age and maturity this is developing more and more. We discuss how to deal with issues of different kinds, very often and I hope that one day it will become second nature. In saying this, the children and I are all sensitive souls and so acknowledging our feelings and working through them is something we will always do. What do you hope this book achieves for its readers and the general public? I hope that our story resonates with others in a FIFO/DIDO situation and that kids that are able to feel ‘OK when Dad’s Away’. I hope the story reassures children that despite distance, fathers can be present in heart, mind and spirit in many situations and those families can work towards building and maintaining strength, resilience and unity. While the platform for this story is FIFO I really think that anyone who believes in the unity of family will enjoy it and take some important messages from it. How have you found people’s responses to the book so far? I have been completely overwhelmed and relieved that all of my readers have loved the story as much as we do. Hearing that there have been tears, laughter and reassurance is the vein in which it was written and I couldn’t be more proud! I have received some beautiful photos of kids reading the book together with sibings, together with mum and together with Dad. In some of the orders I have received, there is a sense of urgency for families to have the book ‘in time for when Dad gets home’, it’s wonderful that the messages within the book are being shared as valuable in advance of them being read. 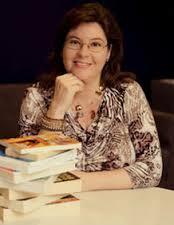 As a first time author, how did you find the publishing process, and working with illustrator, Ann-Marie Finn? I am a true believer that things happen for a reason and firstly I found Ann-Marie and then was lead to Dragon Tales. I have been more than happy with this process and feel that in both, I have made the very best choice! I began my search for someone who could take my words and bring colour and life to them and give the beat of my heart to each and every one. You know you have made the right decision in your choice of illustrator when you open a PDF and your heart swells with emotion. Ann-Marie Finn, gave coloured life to my words and where there were no words her drawings carried the true intent of our family story, like she had known us for a lifetime. I am so very grateful! It is wonderful working with Kaylene at Dragon Tales as I have felt in total control over my work. She has offered constructive feedback and given me the necessary guidance of a true professional in this process, I couldn’t be happier! Do you have any plans to write more stories along this line, or on other topics? Will you continue to write picture books? ABSOLUTELY! I have plans to continue working to provide materials that will support families living a FIFO lifestyle but as well as this I cannot wait to share many other picture books with children and their families. Thank you for your insights on your journey and for letting us take a little peek into your life, Jo! All the best with your future plans! Brand new and hot off the press, and already sold out on the first print-run is the popular, My Dad is a FIFO Dad! 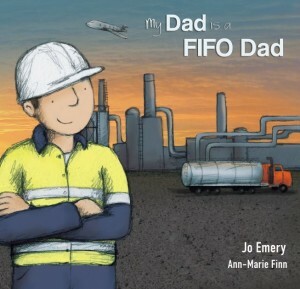 My Dad is a FIFO Dad was written by Queenslander, Jo Emery, mother of three and wife to Steve who works in Australia’s Resource Industry interstate. She wrote the book as both an emotional outlet and as a means of supporting other families experiencing the hardships associated with a lifestyle where fathers work away from home. This touching tale highlights tender and heartwarming moments; times of sadness, strength and pure joy. Dads can still be the greatest, most involved and loving dads, despite working interstate for three weeks in every month. 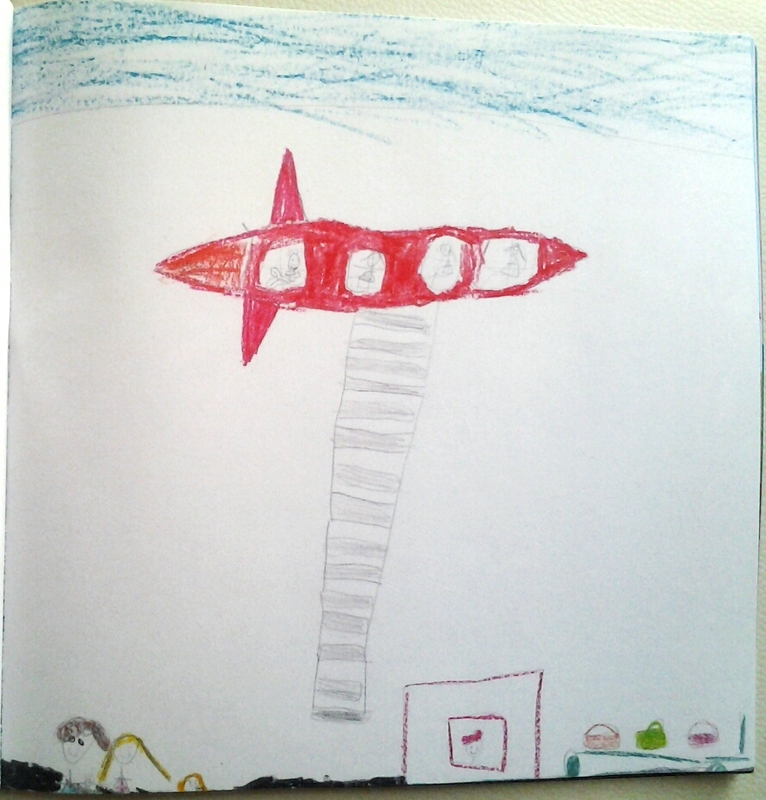 The book begins with a gorgeous sentiment and drawing of an aeroplane by the child narrating the story. We are then captivated by scenes of a fun, animated father role playing with his three children, riding bikes and scooters in the outdoors, and snuggling together for a night time story. But when Dad’s away, the little girl asks her Mum why he has to go away so often. To highlight his job’s importance she explains how Australia utilises its resources, which is nicely weaved into the story; here and again at the end. Also beautifully integrated is the girl’s sense of longing, but also of resilience and warmth as she continues her daily life as a ballet dancer, swimmer, bike rider and at school, and she knows she’s making him proud. Thinking responsibly and positively helps the little girl to solve problems involving having accidents, friendship issues and boredom. Dad is always in the girl’s heart and mind; whether they are interacting over the internet, when she expresses her thoughts in her diary, and she especially relishes when they are finally reunited and hold each other in their arms once more. And I think that’s pretty important! Jo Emery’s My Dad is a FIFO Dad has a clear purpose in connecting with other families with FIFO/DIDO work arrangements. A clever inclusion is an activity sheet for children to write about their Dads. 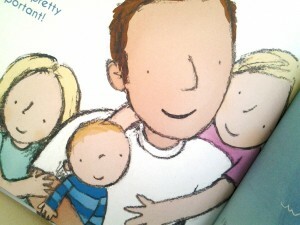 The emotions in the story are perfectly depicted in the pictures by the talented author / illustrator, Ann-Marie Finn. The use of mixed media incorporates a wonderful balance of detail and movement in those active moments, and simplicity and calmness of the scene when the little girl reflects. My Dad is a FIFO Dad is a touching book about family unity and resilience, with a dash of humour, that young children will both enjoy and gain strength from. 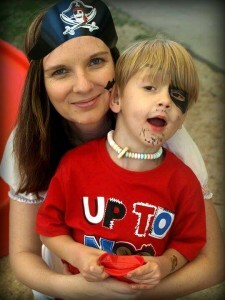 It is a relevant and valuable support resource for many families around Australia and the world. Look out for a fascinating interview with the author, Jo Emery, coming soon! From first time author, Kaylene Hobson, who has sweetly dedicated this book to her own sons, is the wonderfully imaginative tale, Isaac’s Dragon. 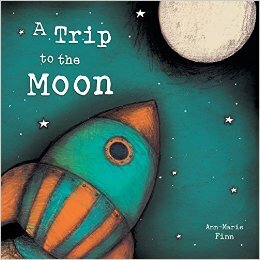 Including gorgeous pictures by Ann-Marie Finn, author / illustrator of books including A Trip to the Moon and Captain Kieron. An extraordinary young boy, Isaac, is introduced to us as a dragon fanatic who spends every possible moment dreaming of owning one for himself. He has difficulty concentrating at home and at school. But if only other people would understand why… he’s hatching a plan to find his dragon, of course! Every night he visits his pet dragon in his dreams where they are free to fly over the land, but only to be disappointed to wake up and realise his dragon is not there. With studious research, skills practise and a brilliant plan, Isaac is a very determined boy and is certain that he will have his dragon by his upcoming birthday. Confronting the unknown and other magical creatures, remembering valuable parental lessons on manners and compliments, and making negotiations with his little brother, Isaac finally has his dreams realised. But the pet dragon he had longed for didn’t exactly live up to all of his expectations. Isaac’s Dragon is an endearing book that addresses real life concepts beautifully. Kaylene Hobson’s main purpose successfully manifests in every part of the story, ”… they (the reader) should also feel a connection with the character – and experience happiness, sadness, joy and disappointment along with Isaac.” Her own voice is evident, too; the one of the loving, caring and compassionate mother. Children will relish the power of imagination, and getting lost in Isaac’s mythical world, while they attempt to determine between fantasy and reality. 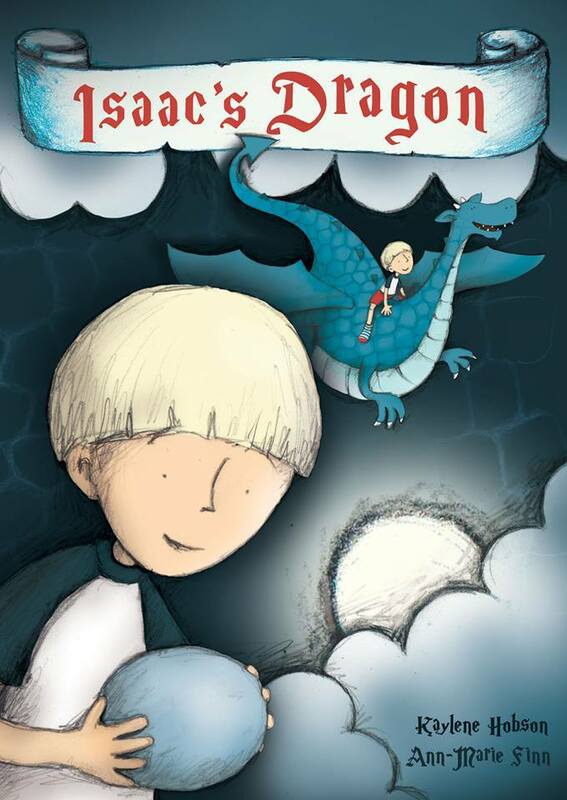 Isaac’s Dragon is a delightfully told, timeless tale of suspense and adventure over eleven chapters. With adorable sketches by talented Ann-Marie Finn throughout, both boys and girls from ages four to ten will enjoy this creative, engaging and insightful story. Looking forward to more excitement in the second installment of Isaac’s Dragon! Read about the story behind the story in a fascinating author profile of Kaylene Hobson to follow.